Is The Denver’s Real Estate Market Turning to Normality? All data taken from ReColorado, on November 16, 2018. Denver, Colorado. Average Price of Detached homes and Attached Homes over Year in October was $462,402. We are starting see prices flattening as the appreciation for last 12 months is 6.4%. A normal market would see 3%. Inventory for November 2018 increased 36.9% over November 2017. With increase inventory comes more choices for buyers, which will slow their buyer behavior down and not get as aggressive with their offers in terms of price. The number of homes closed in October 2018 was 4,099 compared to 4,598 in October 2017 or a 10.9% decrease in closings. This signifies the buyer pool is shrinking. Days on the Market is 29 days which is 11.5% higher than 12 months earlier. The number of homes placed under contract in October 2018 has decreased by 14.2% fewer homes under contract this year vs. last year at this same time. The anticipated slowdown of housing sales in the 4th quarter and first quarter of the year is seasonal, however it is also a result of: 1. Individual incomes not keeping pace with the increase in the pricing of homes over the last 48 months in Denver, 2. An inventory of higher priced homes and/or homes not meeting the condition or location demands of today’s buyers and 3. An increase in interest rates that are predicted to be higher moving forward. Consider having the seller buydown the interest rate vs. trying to get a lower price. Buyers will find the lower payments more attractive in a rising interest rate market. How Long will you live in your Next Home? This is an important question in a market of homes that have experienced 50%+ appreciation over the last 5 years. If you plan on living in the home 3 years, you want to make sure there is still an upside of value and tax savings for you. We are approaching a market where you, as buyers, will be able to include some terms as part of your purchase. Terms far aweigh price in most cases. As you will have less competition, now is the time to really know where to price your home. The best way to continue to attract multiple buyers is by choosing a price position below other current sales from the last 90 days. 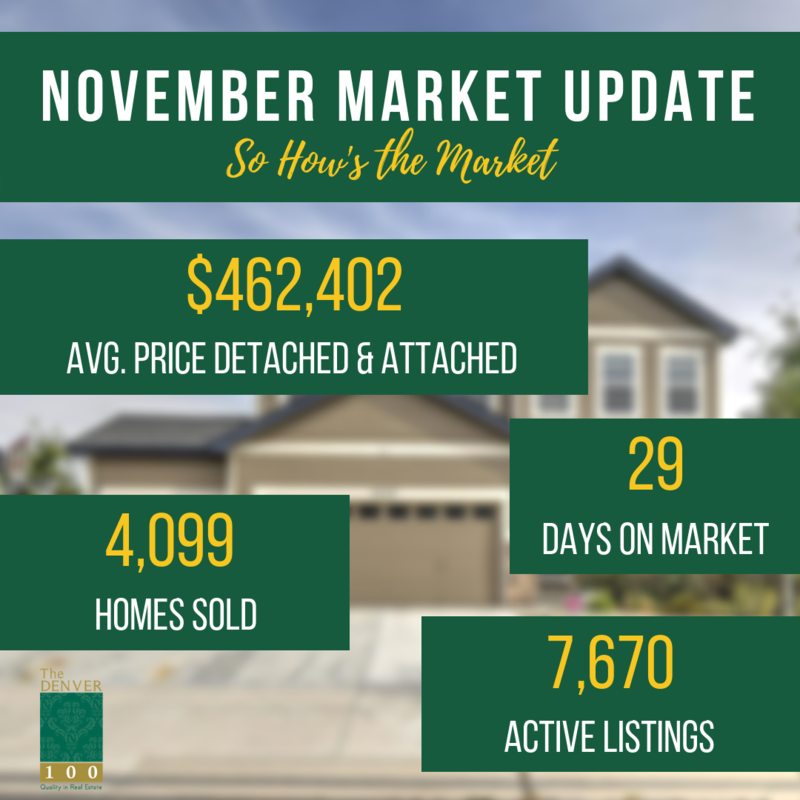 It’s November, and although the holidays are upon us, the relatively low inventory should be encouragement alone to place your home on the market now, versus waiting for after the holidays.